After a 10-week summer break, Jonathan Rea returns to World Superbike action this weekend in Portimao off the back of a podium at the Suzuka eight-hour race and setting the quickest lap at an official test at the Portuguese venue. Portimao is where Rea made his debut in the World Superbike Championship, taking an impressive fourth place back in 2008. In his 18-race career around the track, the Ulsterman has five victories and 12 podium finishes. Taking a 92-point lead into the 10th round, Rea continues his quest for a fourth World Championship at a circuit where his record speaks for itself. "It has been a really long summer break and the test at Portimao helped whet the appetite to get back into action. "However, the real work starts in practice when we look to get the Kawasaki Ninja ZX 10RR dialled in for the circuit conditions. The target is clear - to try and win two races. I know there is a lot of support coming from home and I'm pleased about that." Milwaukee Aprilia rider Eugene Laverty returns to a favourite circuit of his with eyes on podium finishes. Laverty will be hoping to regain the form he showed before the break on the RSV4 RF, having two podiums this season. 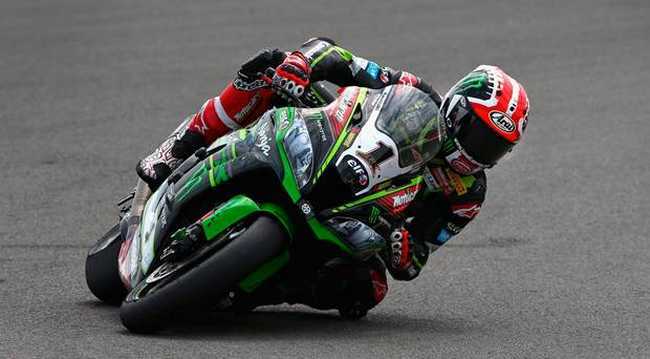 Meanwhile, now that the six British Superbike Championship title contenders have been confirmed, the action heads to Oulton Park in Cheshire for the first two races of the Showdown. Glenn Irwin (PBM Be Wiser Ducati) is in the mix with the Carrickfergus rider still hunting his first win of the season. He has stepped up to the mark since taking over the lead rider role in the team. "We are in a good position ahead of practice (which starts this morning)," he said. "There is still a lot of fight in me. Silverstone was the first time in a long time I've been dicing and lunging at the guys. "Basically, the plan is the same - win races and see where that takes me. Anything can happen, but we won't panic." Locally, the IFS David Wood Trophy races take place at Bishopscourt tomorrow and Sunday, forming part of the eighth round of the AJ Plumbing Ulster Superbike Championship. The Supersport Pro class is the featured event with the biggest share of the £10k prize fund up for grabs with Upperlands rider Jason Lynn defending his title and currently leading the Ulster Supersport series. A host of riders will challenge Lynn for the honours with Mark Conlin, Emmett O'Grady and Christian Elkin the most likely to thwart his winning roll. Current time: 23-04-2019, 11:59 PM Powered By MyBB, © 2002-2019 MyBB Group.